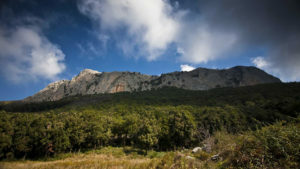 The Parco delle Madonie, situated south of Cefalu, was the second natural reserve to be established in Sicily. It incorporates 15 towns and villages including Polizzi Generosa, the twin Petralia towns, Soprana and Sottana, Gangi, Castellana Sicula, Castelbuono, and Isnello. Many of these towns have Mediaeval origins thanks to the noble land-owning families that owned huge estates and built castles in the area. Today several castles and many wonderful churches bear witness to this history. The Madonie’s gastronomic tradition is second to none, relying as it does on local produce for prime ingredients. The meat, sausages, salami, cheese, olives, mushrooms, and fresh seasonal vegetables are all excellent while some of Sicily’s best wine is produced nearby. The Madonie Park lends itself to walking and hiking with many wonderful routes varying in difficulty and length. Other activities, such as horse-riding and mountain-biking are also fairly common. For children there is also a wonderful adventure playground (Il Parco Avventura) near Petralia. Ropeladder-walking, tree-climbing and all sorts of fun are to be had! There are picnic areas and, if you phone ahead, you can request some local products, such as cheeses, hams, sausages etc. to be waiting for you!